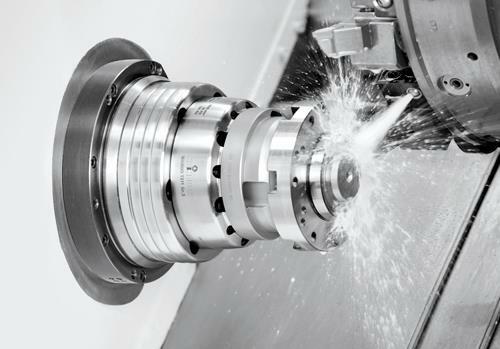 Often referred to as cutting compound, cutting fluid, cutting oil, coolant or lubricant, cutting fluid is used in many different industries, but specifically for machining processes and metalworking. Using a cutting fluid when metal machining has many beneficial effects that improve the quality and amount of work, which can be carried out along with dramatically extending the life of the machinery. These are oils that are non-emulsifiable. Used undiluted, this fluid is used in general machine operations. Made from petrol oil or a type of base mineral, this oil also has added lubricants such as vegetable oil or fats along with extreme pressure additives. These types of oils offer the best lubrication from a cutting oil, but is let down by their poor cooling characteristics. These fluids have to be mixed with water to make an emulsion. Consisting of a base mineral oil, they have added emulsifiers so that the emulsion is stable. This type of cutting fluid has to be diluted before use, most usually in a 3 to 10% concentration. Soluble oil is used across many different industries as they are the most cost effective type of cutting oil and offer a good level of lubrication as well as heat transfer. This type of cutting fluid is made from organic ingredients together with alkaline inorganic compounds. Containing absolutely no mineral oil or petroleum, their corrosion inhibition comes from other additives. Used diluted, again in a ratio of 3 to 10%. While not usually the cheapest option, they are widely considered to be having the highest cooling performance amongst all the cutting fluids available. These cutting fluids are a mixture of both soluble oil fluids and synthetic fluid. This means that they have the benefits of both. The level of performance is middle of the road between these two types of cutting fluids. · Using cutting oil will extend the life of the cutting tip dramatically. This is because the working edge is lubricated which reduces tip welding. · Good cutting oil will help to prevent rust from forming on the cutters and other machine parts. How Long Does Cutting Fluid Last? Over time, all cutting fluids will start to degrade. This is because contaminants will enter the lubrication system. The most common form of degradation is when tramp oil is formed. More commonly referred to as sump oil, this is lubrication oil that has leaked out from the slideways and been washed into the coolant mixture. The sump oil is separated from the coolant by skimmers and then scraped off the side of the disc by wipers. The sump oil then has to be disposed. When the cutting fluid is old, chemically degraded or fetid, it will not be effective and has to be disposed. The disposal of cutting fluid is legislated and regulated just like motor oils and other waster material; the environmental impact must be considered and mitigated as much as possible. Modern machines now use ultra filtration for disposal which uses ceramic and/or polymeric membranes during the emulsified and suspended oil phase to concentrate sump oil and remove safely. Cutting oil is a vital ingredient for most machine-based industries. Extending the life of the machinery and making it safer for workers to use the equipment, it is important that machine owners take every step to mitigate the environmental risks while reaping the benefits of using cutting oil in their business. The article is written by a mechanical engineer, David Saba. He often writes on the topics he is well known for. Like for so many others unist.com.au– cutting oils provider, was a source of information for this article.